Great New Buying Guides from Total Buying Abroad! 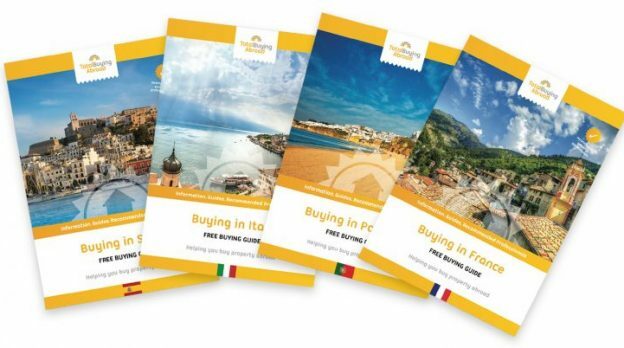 Worldwide Lawyers has teamed up with Total Buying Abroad to bring you some great new Buying Guides for those looking to buy property in Spain, Portugal, France or Italy. Total Buying Abroad is a UK based company which provides guides, information and recommendation for various property professionals to help people safely and successfully buy property abroad. The buying guides provided by Total Buying Abroad provide a wide range of information about the whole process of buying property in Spain, Portugal, France and Italy. The guides include details about all aspects of the buying process from going on viewing trips to finding the right estate agent, getting an overseas mortgage, using surveyors, how to deal with currency exchange issues, how to get a good lawyer, setting up utilities and lots of other practical and useful advice and information too! All of this information is handily collated into one free downloadable guide. You can of course still download Worldwide Lawyers’ Legal Buying Guides which explain the legal process of buying property in your country of choice including Spain, France, Portugal, Italy, Cyprus, Australia, Turkey, Greece, Scotland, New Zealand. If you would like more information on any aspect of buying a property abroad, or if you would like details of a recommended English-speaking law firm to assist you with your purchase please do not hesitate to contact us on 01244 470 339 or email us at info@worldwidelawyers.co.uk.